Good times were had by all in Gatlinburg! 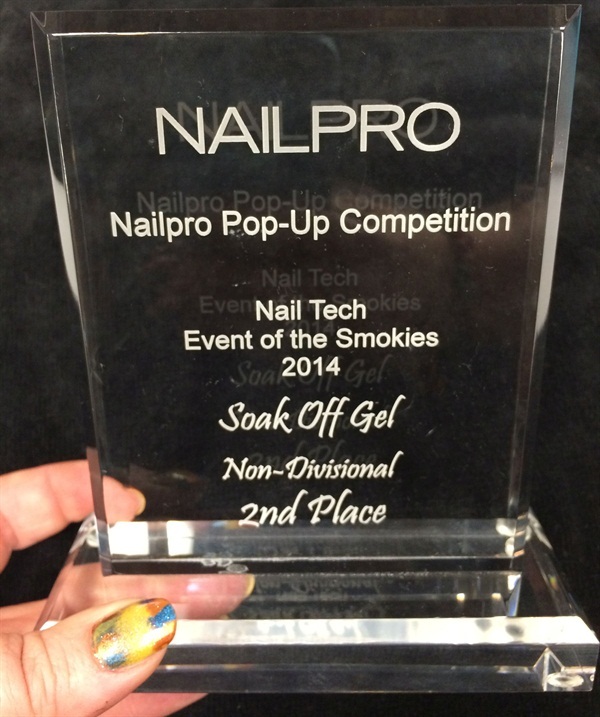 Nail Tech Event of the Smokies is still one of my favorite shows to attend. The setting is fun and the chance to actually visit with attendees and do demos without screaming over crazy music is such a treat. I worked a booth on Sunday, taught a class on Monday, and had the chance to compete in the soak-off gel competition thanks to CND sponsoring me. There were not many competitors which was disappointing but the most exciting part for me was to see that my score improved 19 points from Orlando and the total score earned me 2nd place. That’s quite a lot and I have to say a big thanks to Guin, my mentor and Carla, the director of the competitions for giving me advice and helping me navigate my first two competitions. I hope you like these crazy huge selfies! 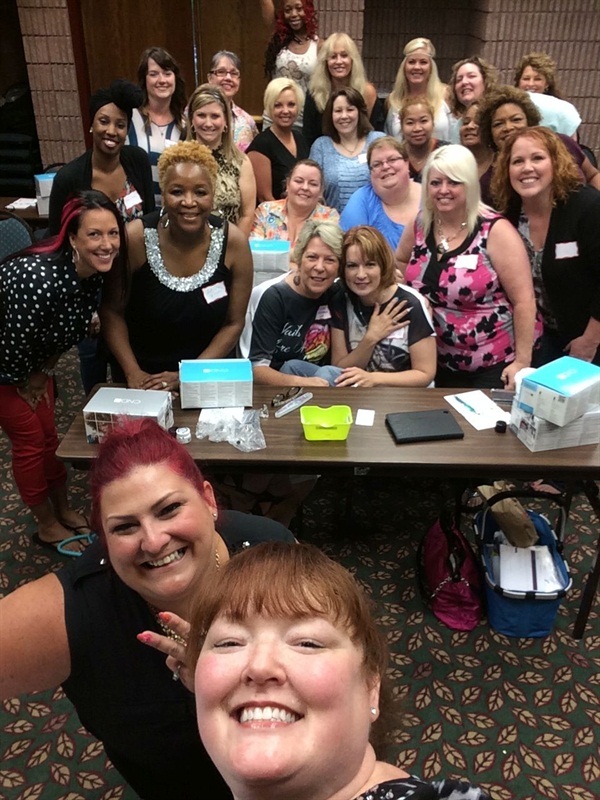 One is the awesome group Kim Jones and I had in class on Monday. 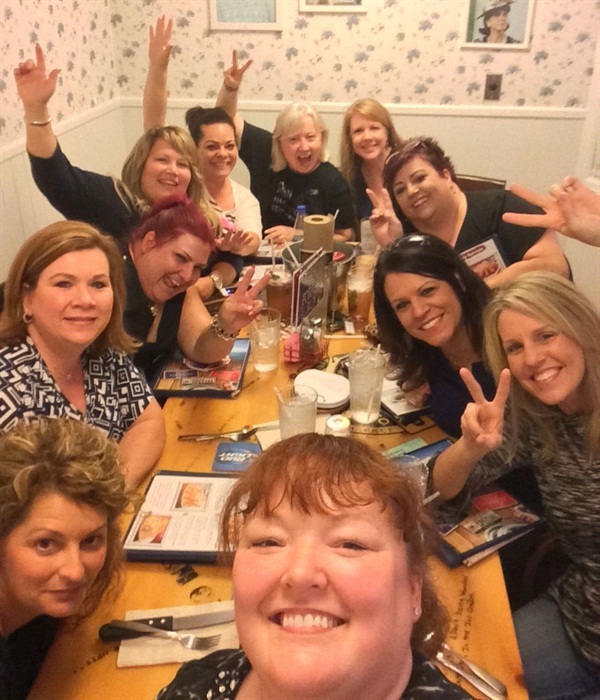 This is from the final dinner I had in Gatlinburg with the creator of the event, Jill Wright, some fellow educators, and some event attendees!